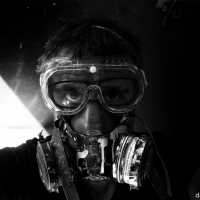 Hope I'm formatting this post properly w' the pics. My friend just picked this piece up in a lot on eBay and he had a bunch of questions for me that I was stumped on, so I thought I'd ask you guys. This movie was originally released in 1936, but I know the original one-sheet was in color, and I don't think this paper is quite that old. There are no dates or numbers on it anywhere but I assume it's from a double-bill re-release later on, but no idea when. The thing I thought was cool is the empty space at the bottom which is obviously a place to add a title for the accompanying feature, but I don't know what this style is called. Anyone know? He paid around $100 for the whole lot, but this was the only noteworthy paper. Any insight? Thanks for the help and the link! 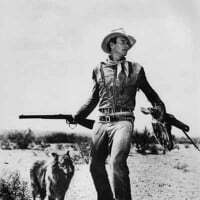 re-release of a serial. No incentive to put a lot of money into something that got fitted between the cartoon and the newsreel. That's my guess. The poster in question appears on Bruce's website as being a 1950's re-release. I believe this poster isn't from that re-release and was printed at a different time. On this poster it has A Film Shows. 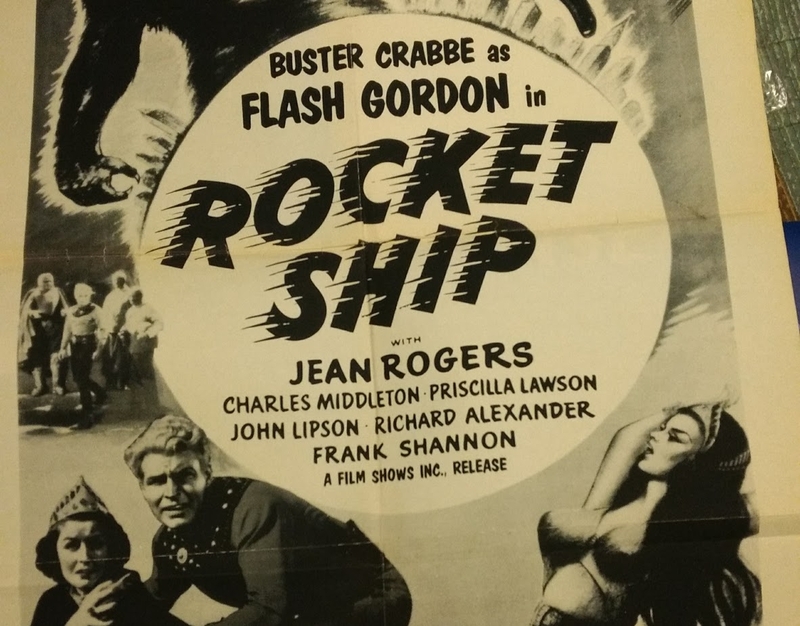 Inc., Release, along with Buster Crabbe as Flash Gordon printed on them and the poster also is printed in black and white. 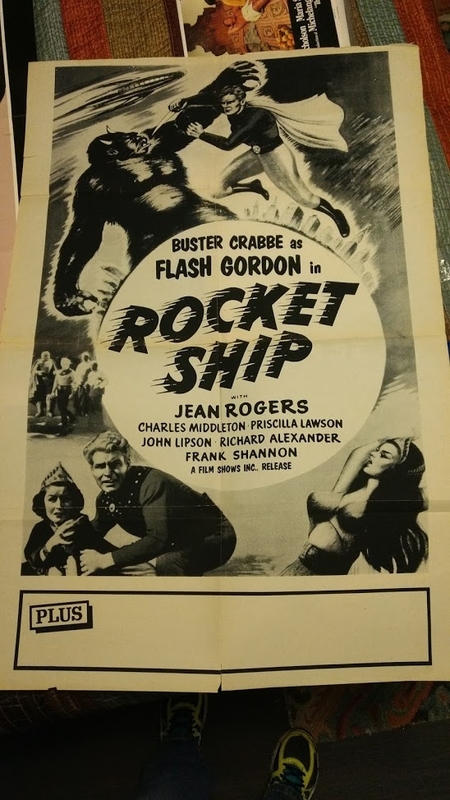 All the remaining various styles of 1950 RR paper Bruce has on his website for the title Rocket Ship are in colour, has Larry Buster Crabbe credited and has a different distributor appearing, credited as being A Filmcraft Picture. Of interest is that the American home video company GoodTimes Entertainment Ltd. a.k.a. GoodTimes Home Video ( 1984- 2005 ), distributed many public domain titles that were credited to Film Shows, Inc. ( Wikipedia sourced ). GoodTimes Video released Rocketship on VHS in 1986. Wow, thanks for all the info, Hondo! Every little thing about this hobby fascinates me. I'd have loved to find one with another title pasted on the 'plus' area.